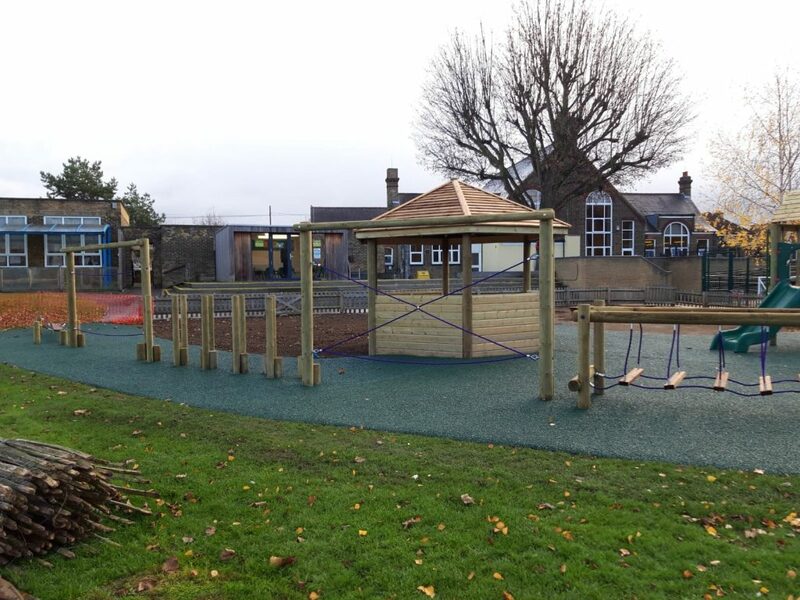 Houndsfield Primary School invited Setter Play to quote for their Key Stage 1 play project after we delivered a fun climbing frame for their Nursery that all of their younger years loved. 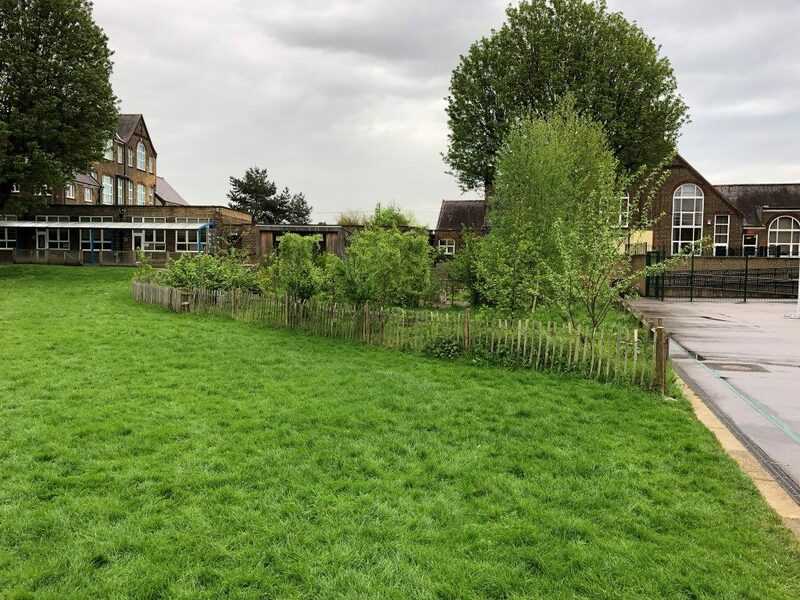 Their brief for the new play area was to clear the space but retain the natural theme, and add lots of exciting new play and learning provisions, in addition to making the area more accessible. 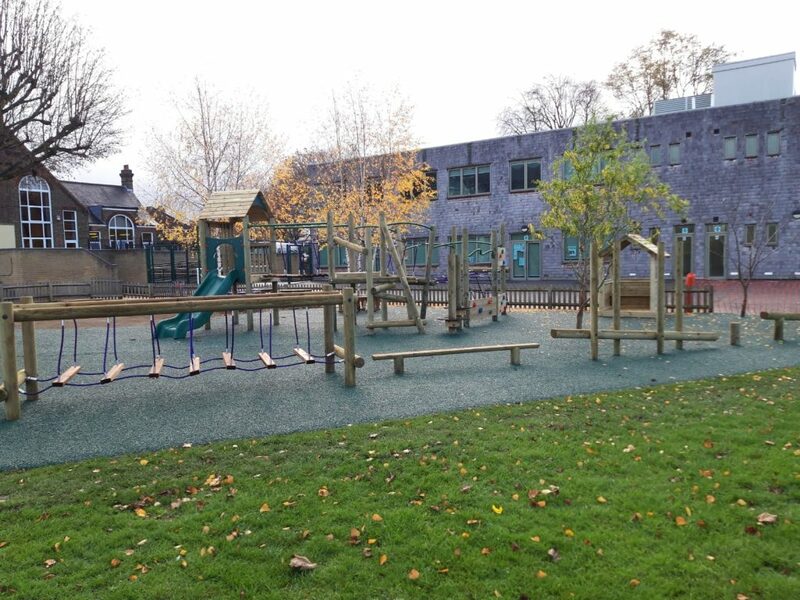 We relish the opportunity to transform outdoor spaces into an area that school’s love, and so we made sure to propose a design that met their brief whilst retaining some of the trees in the space, as well as some of the planting areas their groundskeeper used with their pupils to teach them about nature. 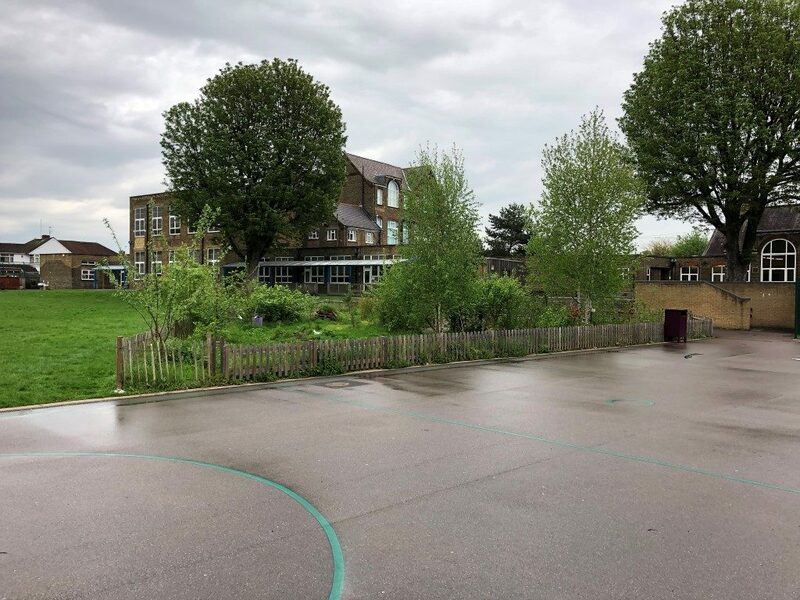 We began our proposal by opening up the space by removing trees the school didn’t want to keep, as well as old planters that were no longer used. We also removed the field-facing fence, opening the play space to the rest of the playing field. 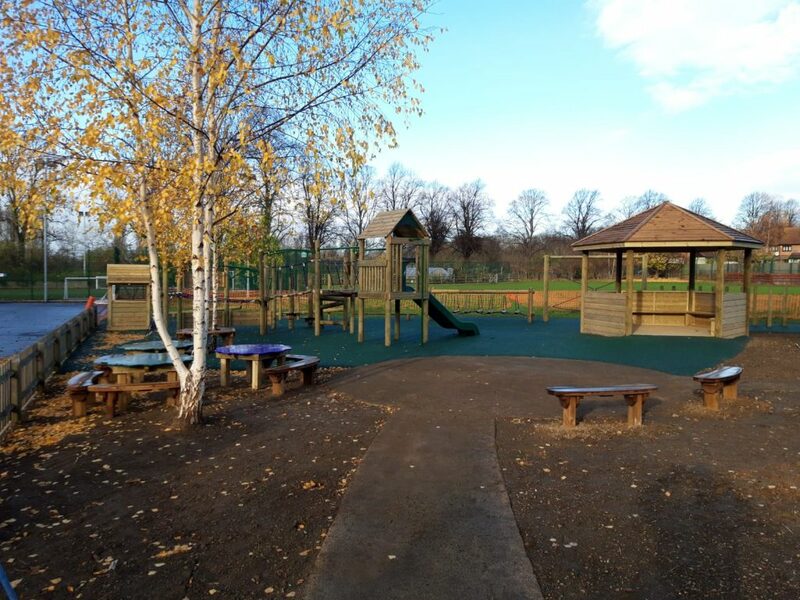 Along this edge of the play area we installed an exciting new Adventure Trail with a fitness focus to help the Key Stage Ones’ reach their physical development targets and grow whilst they play. Beyond the new Adventure Trail, we created a hexagonal Gazebo, complete with timber panels and benches to make it ideal for use as an outdoor classroom. In fairer weather Houndsfield’s pupils can use the Flower Tables and Curved Benches to sit together and learn, read and socialise. 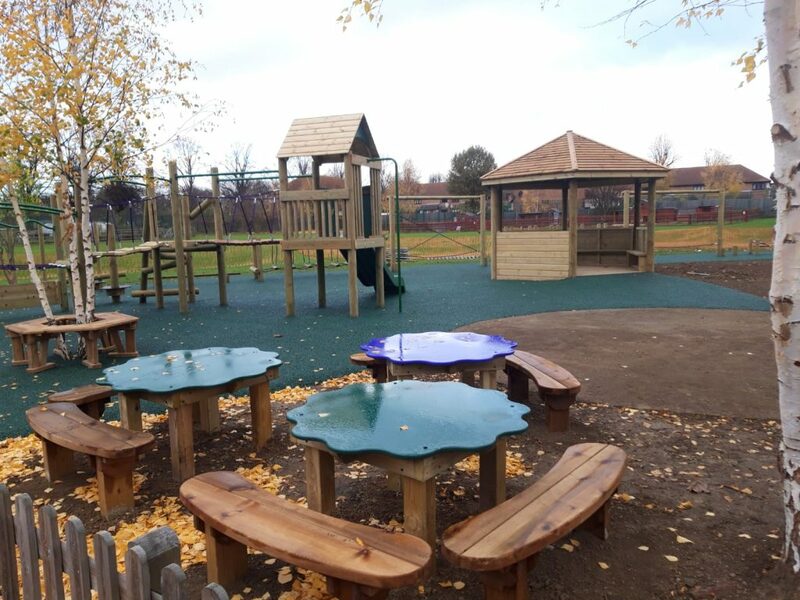 During our meeting Ms. Holland, headteacher at Houndsfield Primary, expressed interested in our Jellywood and our Twig Hill climbing frames, and so we developed an entirely bespoke new design especially, named Jelly Hill. 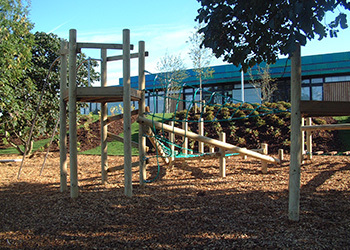 This combines the tower units and HDPE slide of Jellywood with the non-prescriptive climbing elements of Twig Hill, resulting a fantastically engaging all-round play unit. Underfoot we laid bonded rubber mulch in a dark green colour, providing all-weather access to the new features in the play space. Houndsfield also chose green and purple for the ropes on their Adventure Trail and for the Flower Benches, making use of our customisation options to personalise the scheme to their school colours. 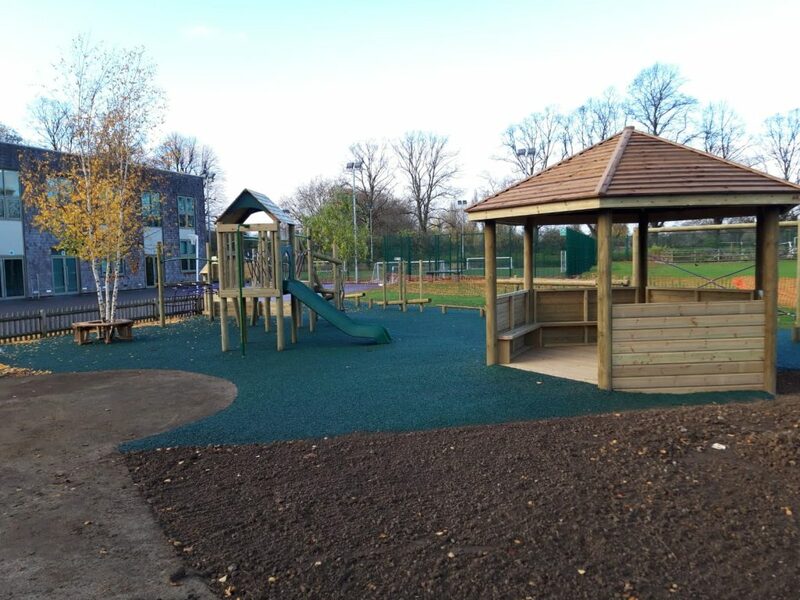 The timber equipment in the space pairs really nicely with the trees Houndsfield Primary chose to keep, as well as the bonded rubber mulch, creating a really attractive and engaging play area that is ideal for both physical and mental development amongst younger years. Houndsfield love their new scheme and we are very proud of another job well done.